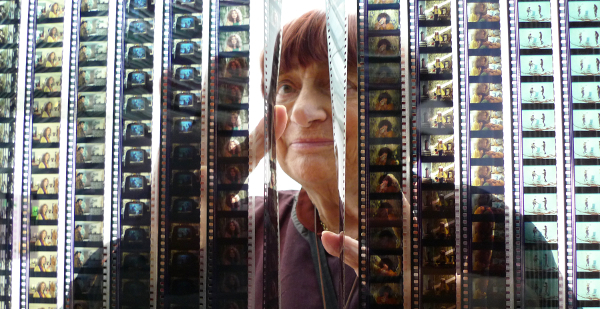 At the Cannes Festival this past May, Varda received a lifetime achievement award — only the fourth given in the history of the festival — and more recently, she premiered a lively short film starring teenager Jasmine Thiré — Les 3 Boutons — that provides a neat introduction to her original approaches to moviemaking and storytelling. From casting to locations to editing to narrative digressions, it is pure Varda and a treat. She is a master of cinematic language through both image and sound. The Criterion Collection has also released a new box set of some of her less known work, and it includes such important and innovative shorts as Uncle Yanco and Black Panthers. This week’s incredible journey of virtual mourning for millions over the tragic death of Robin Williams (and personal, private mourning for his family and friends) has been quite powerful in its breadth and is anchored by this still recent ability to share media – like going down the cellar to take out the boxes of home movies and prepare them for family reminiscing – so quickly, so widely, and so interactively by both professionals and the general public. 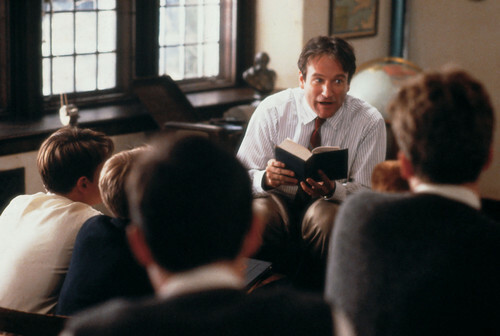 One of the movies selected for study with Moving Images is Dead Poets Society, and a picture of Robin Williams as Charles Keating is featured on page 296 in a discussion of casting in the production process. Interestingly, the first time I personally used the film in a media literacy course – because it is generally used in a sophomore English class at my school – was this past spring. I had not seen it in a while, and I was struck in particular by Robin Williams’s performance, along with the entire cast. If one is looking for lessons in directing of actors in a film from the past few decades, the work that Peter Weir did in this movie was extraordinary. I have found that people tend to focus on the “antics” of Robin Williams’s performance in this role, but if that is the case, they aren’t looking very closely or with an open critical eye. While general perception of this role has tended to focus on his behavior as a “teacher on stage,” Williams is able to convey the care that his character takes in trying to understand his students and pay attention to them as appropriate to the context of a private academy of the 1950’s. His is a supporting role – and another great lesson for students learning from this film is to investigate and discuss the core dramatic issues of the screenplay: who is the main character? when are the turning points of the story? what are the objectives of all of the characters and where are the conflicts? – and it is one that is quite subtle and honest; it is often best in the quiet moments, even ones without words. This is not often enough said of Robin Williams performances, but I find it true here. I highly recommend giving this movie a fresh viewing and doing it with an open critical mind; the poetry is in more than the book Williams is holding in this picture. 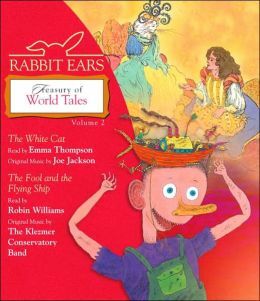 On the solely verbal side, I would like to recommend another Robin Williams performance that is not among his most famous: his narration of The Fool and the Flying Ship, a children’s story for Rabbit Ears Records back in the 1980’s. All of his voice gifts are there, along with the one-liners, the accents, the infectious energy, but as opposed to the ping-ponging, zipping here and there qualities of his stand-up work, here he is grounded by story. And since he is narrating, the voices of individual characters have time to stay with us, come back into view, and form a distinct presence in the life of a narrative, which is a bit different than the quick blips of caricature that he would use in comedy performances, talk shows, and similar work. He also narrated Pecos Bill, which is more well-known and is excellent as well in different ways, but I would encourage anyone interested to seek out the brilliant creation The Fool and the Flying Ship. I must add a personal note that was rather unbelievable to my family and I: we listened to this story precisely four days ago. This past Monday morning, the day of Robin Williams’s death, we had to drive to Boston for a medical appointment for two of our children. On a whim, I grabbed a CD that we hadn’t listened to in many years, The Fool and the Flying Ship. It was the first thing we listened to during our drive, and I remarked to my wife, “I think this is one of the best things Robin Williams has ever done. It really brings together so many of his best qualities and he is just so on here. It’s right up there with his most distinctive, natural performances.” We just couldn’t believe it when we got the news that evening when we arrived home, which is clearly still the case across the globe. As one final comment, in discussions of Williams’s work this week, I have not heard mention of Moscow on the Hudson, directed by Paul Mazursky. It was his most acclaimed performance of his early feature film work and one that appeared to be very important to him. It should certainly be listed among the defining titles of his filmography along with some of the later more famous, and perhaps not as distinctive, performances. 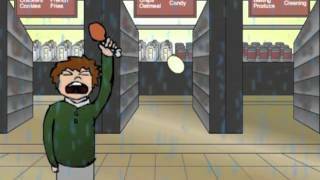 Here are two shorts by Brendan Kirschbaum, a student in my media literacy and digital production classes from this past school year. The first, Boxes, was his final for the fall semester, and the second, Zom, was his final project for the advanced class. They won awards for Animation and Editing at our 12th Annual Film and Video Festival this past June. Both can be very interesting to use for Chapter 2, Inventions and Origins, for their use of non-dialogue visual communication (or a number of other lessons in Moving Images as well!). Many educators across the country have been, are, or will be busy reading, dissecting, evaluating, and debating the Common Core State Standards as a new guide to developing benchmarks, lessons, and assessments across K-12 curricula. The development of higher order thinking – as reflected in reading and writing, analysis and creation – is at the core of the CCSS. As one reads through the standards, it is clear that the development of a framework for evaluating and creating media – whether print or non-print – is at the core of the skills highlighted in the standards. 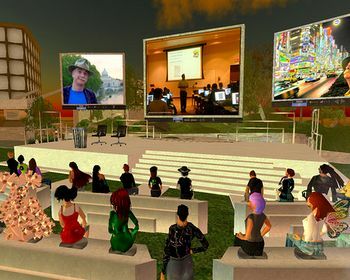 These skills are the cornerstones to every chapter in Moving Images, and this should be seen as welcome news by the National Association of Media Literacy Education and other groups that have developed standards for media literacy based on higher-order skills. Specifically, in the Anchor Standards, media educators must note a standard listed under “Integration of Knowledge and Ideas”: “(7) Integrate and evaluate content presented in diverse formats and media, including visually and quantitatively, as well as in words.” In addition, the use of technology is noted in numerous anchor standards, particularly “digital sources,” and comparison and contrast with visual media is noted in multiple anchor standards. In the Speaking and Listening Standards, under the section of “Comprehension and Collaboration” students are asked to “(2) Integrate multiple sources of information presented in diverse formats and media (e.g. visually, quantitatively, orally) in order to make informed decisions and solve problems, evaluating the credibility and accuracy of each source and noting any discrepancies among the data.” This mirrors common media literacy education standards such as those established by NAMLE, and these goals reflect many of the essential questions posed in Moving Images, such as those investigated in Chapters 1, 5, and 6. There are clearly countless questions and challenges that exist and will arise for educators as they wrestle with this major new mandate. In particular, the stress on non-fiction texts already has many English teachers concerned about the effects of implementing these goals on the study of literature, and the lack of effective integration of creativity in these goals is also a source of profound frustration for many educators. 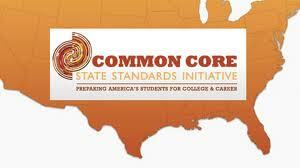 Update: here are articles and perspectives from Education Week on current status of CCSS. And here is a Common Core photo blog. Update 2: Here is a more recent blog post about the CCSS for a presentation I made at the 2013 Northeast Media Literacy Conference. Update 3: Here are resources by PBS’s LearningMedia initiative that provide information and materials related to media literacy and implementing the Common Core.